A new research reveals your long-lasting bright lipstick could contain a host of chemicals that may seriously harm your health. Concerns are growing about links to muscle problems, hormone disruption and poisoning by heavy metals, as well as raised risks of allergies and even a form of arthritis. Among the substances sparking alarm are chemicals such as parabens, methacrylate, lead and cadmium. The latest to hit the headlines is a substance called triclosan, which is used as a preservative in popular lipsticks. Research out last week linked triclosan to muscle and heart problems. The chemical has also sparked fears that it causes bacteria to become resistant to antibiotics and turn into superbugs. Johnson & Johnson, the producer of Listerine mouthwash and Neutrogena soap, has pledged to remove triclosan – along with a host of other worrying chemicals – from all of its skincare products. The latest research on triclosan suggests that it may hinder the process by which muscles – including the heart – receive signals from the brain. Molecular bioscientist Professor Isaac Pessah found a “dramatic” 25% reduction in heart function within 20 minutes of laboratory mice being exposed to triclosan. He warned that there is “strong evidence” that it could affect human health. His study also found that triclosan can seriously reduce muscle power. Previous studies have found that triclosan may have links to thyroid and fertility problems. It may increase women’s levels of male hormones – androgens – causing symptoms such as acne, weight gain, excessive hair growth, menstrual dysfunction, and infertility. The chemical is under investigation by the U.S. Environmental Protection Agency over fears that it damages people’s health. The European Commission says it is legal for humans, but its use remains “under evaluation”. The Cosmetic, Toiletry and Perfumery Association (CTPA) in UK has dismissed the latest research as irrelevant because it only involved tests on mice rather than humans. The association adds that the amounts of triclosan used in the experiments exceeded the maximum permitted levels in cosmetics. However, mounting concerns over the effects of such “safety-approved” chemicals last week moved the skincare giant Johnson & Johnson to announce that it will go far beyond the current requirements of European and American regulators. It has pledged to remove a host of potentially harmful chemicals from its products, including triclosan and parabens – a type of preservative commonly found in lipstick. There are concerns that parabens may act like the female hormone oestrogen and interfere with women’s menstrual cycles. Research by Dr. Philippa Darbre, an oncologist at the University of Reading, has even linked parabens to an increased risk of breast cancer. Investigators have also found other worrying chemicals in some lipsticks. A report in the Journal of Hazardous Materials in 2010, for example, examined the ingredients of a broad range of lipsticks, and discovered that they often contain significant amounts of heavy metals – namely cadmium and chromium. These are linked to problems such as dermatitis (skin inflammation) and possible kidney damage in the long term. “Their extraction from the human body takes over 40 years,” the study warned. Similar studies have found lipsticks containing methacrylate, a form of adhesive, which can irritate the skin. Some research even links lipstick use with the development of a chronic and severe arthritis- a type of auto immune disease called systemic lupus erythematosus (SLE). The condition makes sufferers produce antibodies that attack healthy tissue, and this leads to inflammation and damage. Lupus can affect the skin, joints and internal organs, including the kidneys. In 2008, investigators at Tufts Medical Centre in Boston examined the results of previous research studies into this, and concluded that “using lipstick at least three days a week is significantly associated with an increased risk of SLE”. Women who started wearing lipstick before the age of 16 have significantly higher risk levels, as do women who wear it seven days a week. The researchers suggested that the lupus may be set off by chemicals and heavy metals in lipstick being absorbed by the sensitive tissues that line the cheeks and the back of the lips, called the buccal mucosa. Perhaps the best-known worry about lipsticks concerns lead poisoning which builds up over time in the body and can cause brain and nerve damage. Manufacturers don’t actually add lead to lipstick: it’s naturally present in the minerals they use for bright pigments. Lead levels in lipsticks have been studied by the American safety watchdog, the Food and Drug Administration (FDA). In its most recent test last year, the FDA found that most of the 400 lipsticks studied contained lead and, worryingly, that the maximum level detected had more than doubled between 2009 and 2011. 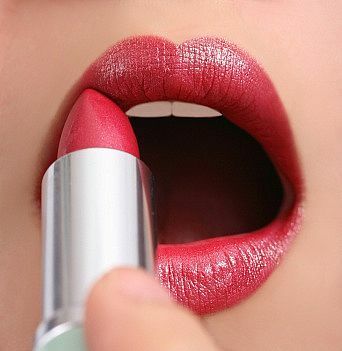 Nine of the lipstick brands with the most lead are sold by L’Oreal, the world’s largest cosmetics maker. L’Oreal’s “Color Sensational” Pink Petal had the most lead of any lipstick tested, at 7.19 parts per million. The average lead concentration in the 400 lipsticks tested was 1.11 parts per million. Campaigners fear that toxic substances in lipstick are easily absorbed into the bloodstream through the lips and mouth, and that women repeat their lipstick applications multiple times a day. It has been estimated that the average woman could swallow between 500 g and 1,500 g of lipstick in her lifetime if she were a modest but regular user. Lead consumption may be particularly dangerous at certain points in a woman’s life. As the official journal of The International Society of Regulatory Toxicology & Pharmacology points out, “pregnant and nursing mothers are particularly vulnerable to lead in lipsticks, because the metal passes through placenta and human milk and can affect the foetus or infant’s development”. All these worries prompt Pat Thomas, a UK expert and author on cosmetic safety, to urge women to moderate both their use of lipstick and the brightness of the colors they choose. “The lists of permitted ingredients lag seriously behind research on safety,” Pat Thomas warns. Ironically, lead levels in some lipsticks have increased because of consumer demand for more “natural” cosmetics. Make-up made with natural ingredients might sound healthier for your skin – and often they are – but with intense modern lipstick shades, the opposite can be true, thanks to the high lead levels in some mined pigments. Pat Thomas acknowledges that the levels of lead in even the brightest hues are comparatively low. But against that, she adds, we have to balance the unknown danger of smearing such substances around our mouths so regularly. “If it is a concern for you, then go for glosses and sheer colors,” says Pat Thomas.